If you’re a regular reader of my little chunk of the internet, you may have noticed a recent change. After running this blog as a pasttime for the past 4 or so years, I finally decided to shed my hastily homemade logo in favor of something that looks more snazzy. What do you think? I freaking love it! I’ve been meaning to do this for (let’s be real) years, but I don’t have the know-how. Luckily, one of my former coworkers it immeasurably talented with this stuff. So I had coffee with her and asked if she would be interested in making a new logo for me. Not long after, the new logo was born! I have to give a huge shout-out to Linda, who made the logo. You can find her at www.lindanorland.com. 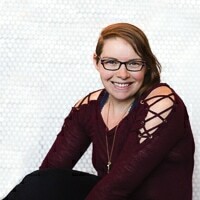 She’s an awesome human being and happens to also be into website building and graphic design. Thanks, Linda, for all your help! Down the road there will likely be more changes to the layout and things like that. Got to keep you all on your toes! But for now, I wanted to roll out the logo as soon as possible. Because it rocks. And Linda rocks. Logo is simple but good. It actually looks like a ‘stamp’ of approval. I love the new logo and I think I may check out Linda’s site as well! Maybe she can advise me about my home made logo I made with Canva. You can see it at http://www.kimsmyth.org if you’d like to check it out. It’s pretty simple too. Don't subscribe All Replies to my comments Notify me of followup comments via e-mail. 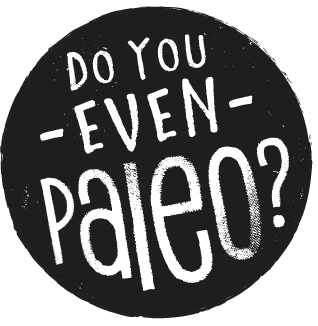 You can also <a href='https://www.doyouevenpaleo.net/comment-subscriptions/?srp=2993&srk=87505361eee98908ddf6ccb8681f50d6&sra=s&srsrc=f'>subscribe</a> without commenting.